A candidate in Venezuela’s assembly elections and an opposition activist have been killed on July 30. The killings took place before voting started to elect a new assembly with powers to rewrite the constitution. The opposition says it is a power grab by President Nicolás Maduro and is boycotting the vote. Venezeula’s government says the constituent assembly is the only way to bring peace back to the country after months of violent protests. José Felix Pineda, a 39-year-old lawyer running in the election, was shot in his home on the night before the election day, a senior Venezuelan minister said. Ricardo Campos, a youth secretary with the opposition Acción Democrática party, was shot dead during a protest, the head of the national assembly said. A soldier in the National Guard was also killed in protests in the western town of La Grita, officials and media reports said. The El Nacional newspaper said 13 people had been killed across Venezuela in the past 24 hours. Protests have continued in defiance of a ban on them taking place. An explosion near one demonstration in Caracas injured several police officers and set a number of their motorbikes on fire. The security forces have used armored vehicles to dispel protesters in the Caracas district of El Paraíso amid the sound of gunfire, AFP says, citing local reports. President Maduro cast his own ballot shortly after polling stations opened at 06:00. 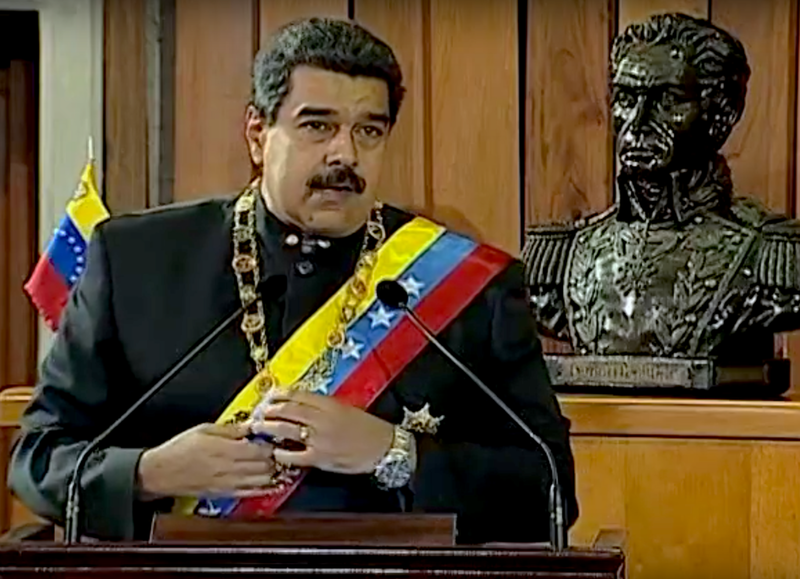 In a TV speech, the president predicted a “big victory”, calling the vote “the most important election held in Venezuela’s political system”. However, electoral council chief Tibisay Lucena acknowledged that some voting machines had been attacked and burned in parts of Venezuela. Four months of protests against President Maduro and his plans for the assembly have left more than 100 people dead. The election has been heavily criticized by other Latin American countries as well as the EU and the US, which last week imposed new sanctions on members of President Maduro’s government. Venezuela, a major oil producer, is gripped by a political crisis, with soaring inflation and daily food shortages. Many residents in Caracas were stocking up on essential items on July 29 in case unrest left shops closed into July 31, correspondents said.